Aida cloth is the most common fabric for cross stitch projects so you need to know which count Aida cloth you should use and how many strands of thread. I recently started a new cross stitch project and it got me thinking about counted cross stitch basics again. I’ve done a lot of cross stitch over the years – some quite simple, like these Rainbow Blocks, and others that were very detailed and took me years to complete, like my wedding peacock sampler. But every stitching project starts with the same basics of choosing fabric and making sure you have enough to fit in your picture. So here’s a quick review to get you started. 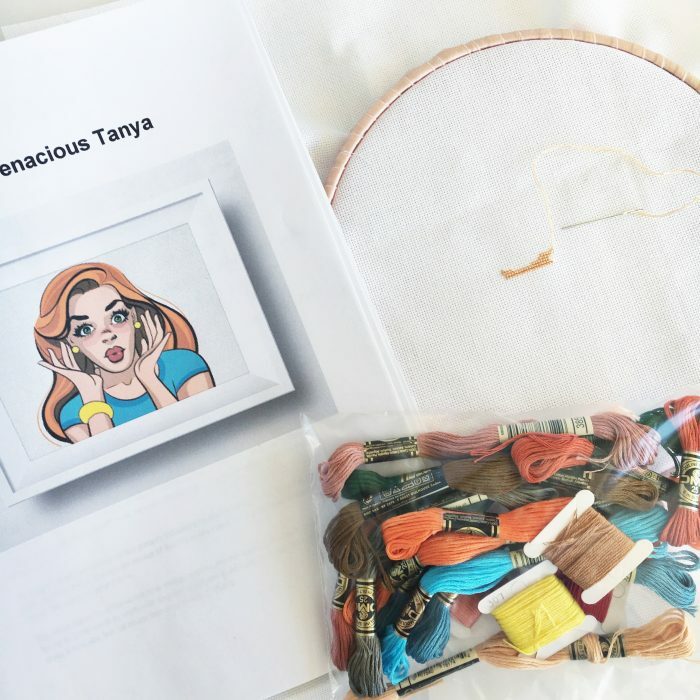 What do I need to do counted cross stitch? 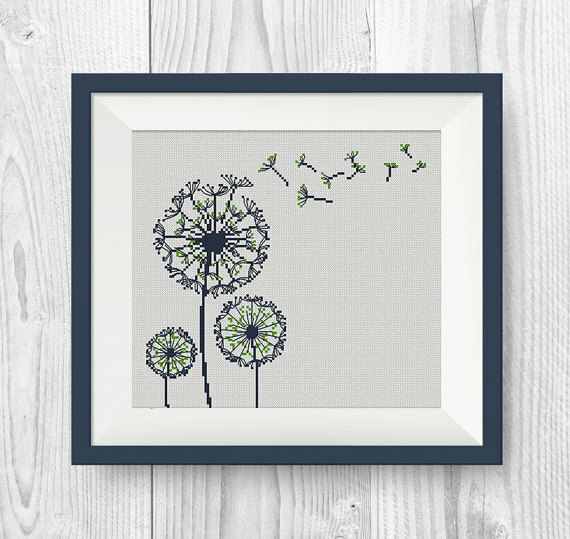 You could also add a hoop or frame to keep your stitching taut and flat. This will make your stitching easier. Read more about using a hoop for stitching here. For my latest project, I’m using Aida cloth. This is special fabric designed for even stitching with threads that form small squares and spaces. It makes it super easy to make even crosses in your cross stitch. You can get it in a variety of colours from neutral white or ecru to colourful blue or black. What does Aida 14 count mean? Aida cloth comes in different sizes or counts. They range from 6 count through to 22 count. The larger the number, the smaller the squares formed on the Aida cloth. So if you’re a beginner you might start stitching on 14 count, probably the most common size available. As you get more experienced you might move to 16 or 18 count Aida, or to even weave linen designed for stitching. To calculate the count of Aida, look at one inch of the fabric. Count how many ‘squares’ are within that inch and that is the ‘count’. In my picture above, I’m using 22 count Aida which has very small squares. 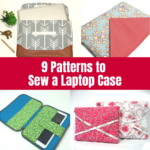 How do you store your Aida Cloth? After a few years of cross stitching, I have collected various pieces of leftover Aida cloth. I store it in A4 size zip lock bags to keep it clean and protected. On the outside of the bags, I write the count so that I don’t have to measure each time I want to use it. How many strands of the thread should I use for each Aida count? For most cross stitching on Aida cloth, you would use two strands of embroidery thread. If you’re working on higher count Aida like 18 or 20, you may prefer to use only one strand, but I personally prefer the coverage of two strands even on those smaller squares. Stranded embroidery thread has 6 strands. It is specially designed to be able to separate the strands so you can stitch with less if you want to. For example, you might stitch your cross stitches with two, then stitch the outlines in one strand. Sometimes you might use 3 strands to create thicker denser crosses, or only one strand to create very thin light crosses. This will add dimension and shading to your picture. How much Aida cloth will I need? It is important to work out how much Aida cloth you need up front so that your design will fit. There is nothing worse than finding out your design won’t fit after you’ve stitched half of it! Look at the pattern and see how many stitches there are. Some patterns will tell you in the instructions but if not, just count the squares! Next, you need to know what size Aida cloth you will be using. If you’re not sure, measure an inch and mark it with two pins, then count how many squares are between the two pins. That number of squares is your ‘count’. Then think about how much space you want around the edge of your picture. I would recommend at least 2″ or 3″ but you may need more. For example, if you get it professionally framed, they will stretch it over a mat board so it is good to have 5″ or 6″ of the border all the way around. You can see my calculations for my latest cross stitch project above. The pattern told me the picture is 219 stitches wide and 203 stitches tall. I’m using 22 count Aida so I divide each of those numbers by 22 to find out how many inches of fabric I need for the picture. Then I add 3″ on each side of the design to give some clearance around the edges of my picture for framing. I always start my stitching in the middle of the design. This way you know that you won’t end up too close to one edge or another. Most patterns will mark the centre of the design with arrows from the outside edge. Fold your fabric in half and in half again the other way to find the centre point. Quick Tip: Find the centre of your fabric and mark it with a pin before you put your fabric into the hoop for stitching. So which Aida count is best? Like many things in the crafting, Aida count comes down to personal preference. Stitching experience – If you are new to cross stitch, it is usually easier to use a larger square Aida so 14 count or lower. 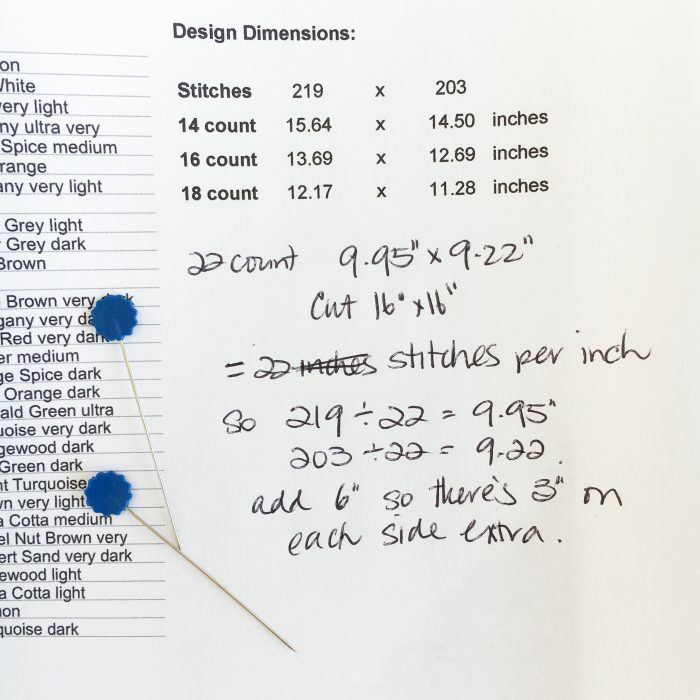 Project size – The same design stitched on a lower count Aida cloth will be a bigger picture in the end than if it were stitched on a higher count Aida. So if you want your picture a certain size – to fit in a particular frame, for example – you may want to change the Aida count up or down. Visual preference – Lower count Aida has bigger holes so visually they are more noticable. I prefer to use higher count Aida so the holes are smaller. Availability – Sometimes I use what I have available. If you want to use coloured Aida cloth, it is most commonly available in 14 count. That said, you could always dye your Aida to any colour you need! 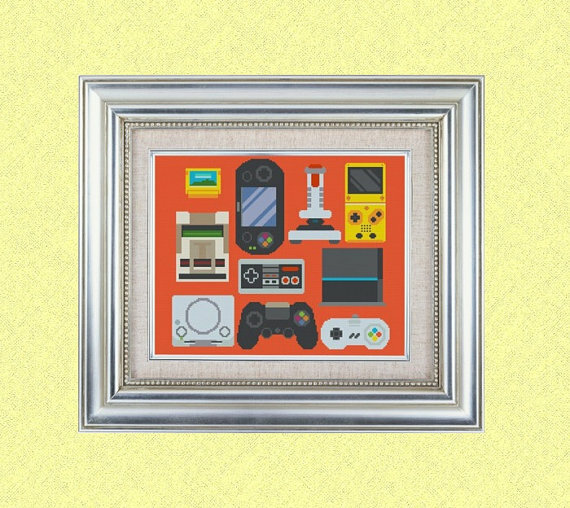 Looking for some new cross stitch patterns? How about one fo these lovelies from Etsy? Just click on the picture to see more info and to buy. I can see your subscription on the list but you need to click the link in the confirmation email to access the freebies. If you can’t see the confirmation email in your inbox, try in your spam folder and mark it ‘not spam’. Once you click the confirmation link, you will get another email with the freebie access. I have a pattern for a 16 inch stocking stitched on 18 count aida. How much bigger would the stocking be if i used 14 count aida? I’m new to counted cross stitch and loving it. Can’t get aida in colours here in South Africa ….how dies one dye it ? Hi! From your experience, do you know what would happen if a design is 18count(designed to stitch on 18count Aida) and I stitch it on 16count cloth? Cause I couldn’t get 18ct Aida and ended up getting a bigger dimension 16ct Aida.. If you’re working on Aida cloth, there should be a natural square to work over. If you’re working on linen, I would work over two threads. 5 inch by 7 inch. Here is the link of the photo of daisies. You will need to create your cross stitch chart before you can work out which Aida cloth you need. Is there a “12 count aida”?